Saturday evening I spent the night with Joe Marzullo shooting images in the newly opened space along side of my residence in Whiting. 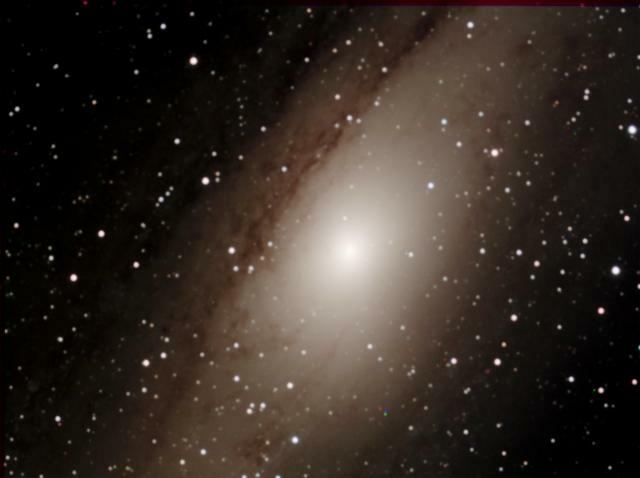 During the time from setup to closing around 1:30 I had imaged the Andromeda Galaxy thru Astrotech 111edt, 3- 20 minute images 1x1 (1390x1040) combined for color, RGB. (By the way, the Milky Way can be seen from this site) I combined this image using MaxIm DL/CCD, slight processing, needs some sharpening. We had a GREAT! sky and weather which made the hour and one half trip for Joe well worth the time. Joe imaged some new objects which he will present soon.